Mercedes will unveil the all-new EQC later this year and we’re now getting our first glimpse at the upcoming EQS. 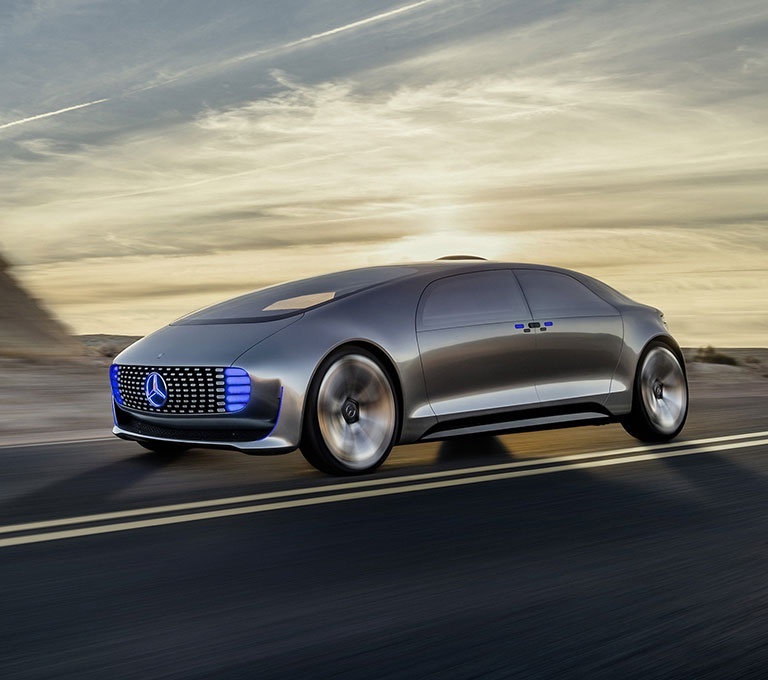 Momentarily glanced while on the move, the EQS will become the flagship vehicle for Mercedes’ new EQ sub-brand. 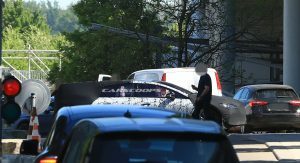 While the spy photos suggest the model will be a stylish shooting brake or wagon, it’s believed the car will actually be a large four-door coupe. The pictures don’t reveal much, but they show the model will have a short hood and a minimalist overhang. 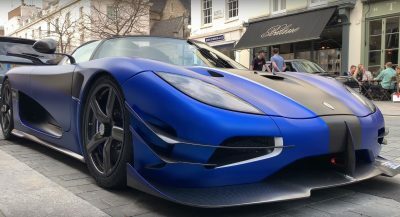 The car also has sweptback headlights and an extremely long windscreen. The front doors are massive and appear to feature a window divider near the side the mirrors. This suggests only a portion of the front windows will be able to be lowered. 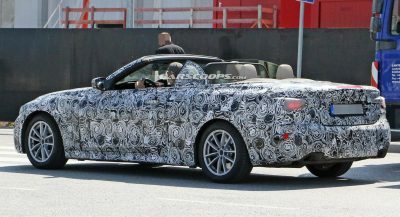 Lastly, we can see a sloping roofline and rounded bodywork. 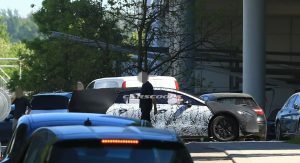 These unique styling features will help to distinguish the model from the next-generation S-Class which is due in 2020 or 2021. 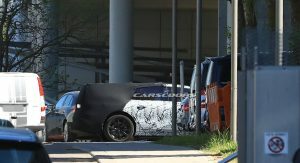 Mercedes hasn’t said much about the EQS, but EQC chief engineer Michael Kelz has previously dropped a few hints about the car. 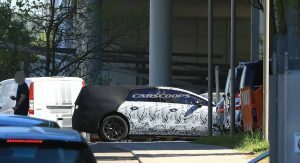 Back in April, he described the model as an S-Class level vehicle that is “top-of-the-line” and combines luxury with an electric powertrain. He went on to say the model would be entirely separate from the S-Class. 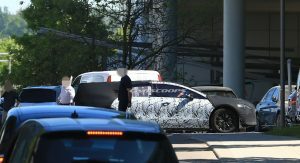 Little else is known about the car, but reports have suggested it will ride on the MEA architecture and could be launched as early as 2020. Looks like a wagon to me. Yeah that is interesting. Didn’t think of that, wow. 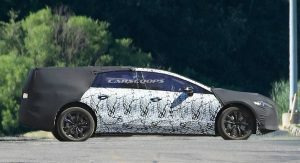 The camouflage makes you think it’s a wagon, the wagon shape camo disguises the coupe-like rear. Side-view reminds me of current Jaguar XJ. THAT’S A DRAMATIC RAKE IN THE WINDSHIELD. WHILE IT LOOKS SLICK I HAVE TO WONDER WHAT THE SIGHT LINE OUT THE FRONT WILL BE. nice blind spots, deep dashboard and driver sitting in the middle of a cars length? i hope the price would be 150 000 € plus…..
SHARP LOOKING BUT NOT NECESSARILY PRACTICAL. 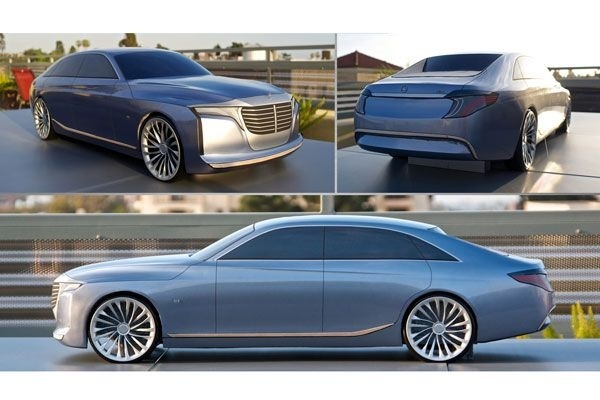 Instead of four door version of S-Class coupe they will build it. Price tag will probably start from 110-120k euro as they mentioned earlier. 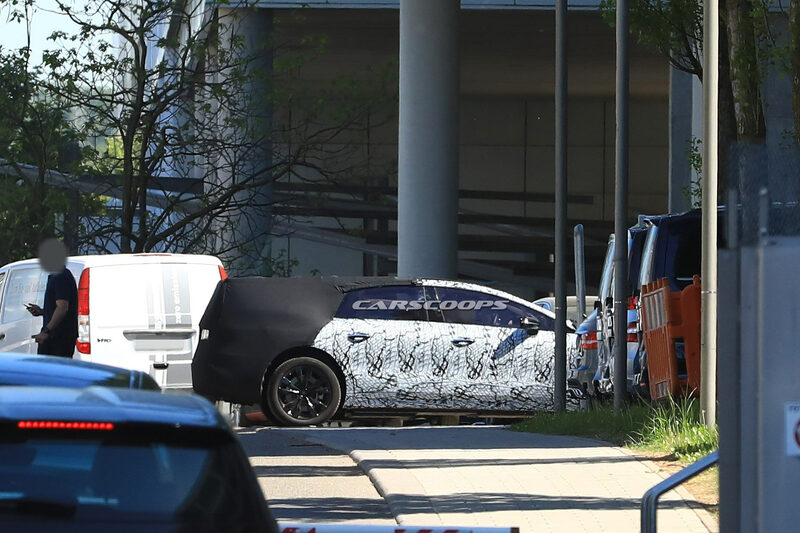 Looks like the soon to be launched Nissan Altima… In wagon form… I may be wrong, but what brought the thought to the writers head that this was a Benz when he wrote this? A hunch? A hunch surrounded by nothing else than lots of production Benz models… must be in the back yard of some test facility. Wow. Those proportions certainly makes me want to see more. 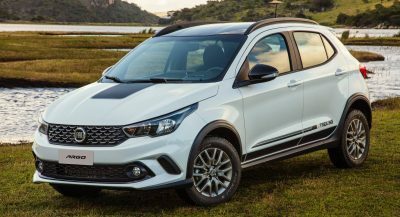 What is the current rate of new car launches at MB ? it feels like they’re launching a new model every month lol. Good for them, it certainly is an onslaught of new metal. Whatever is under that cladding will be scary. Mercedes seems to deliver on their high end products, as this is an S-Class equivalent for their EQ range, no pun intended. Can’t wait to see this and what Audi has in store for the e-tron super sedan. SWEETIE YOUR SILLY NAME ISN’T GONNA CHANGE THAT. SO GO TROLL SOMEONE ELSE. STATS GO BOTHER SOMEONE ELSE. 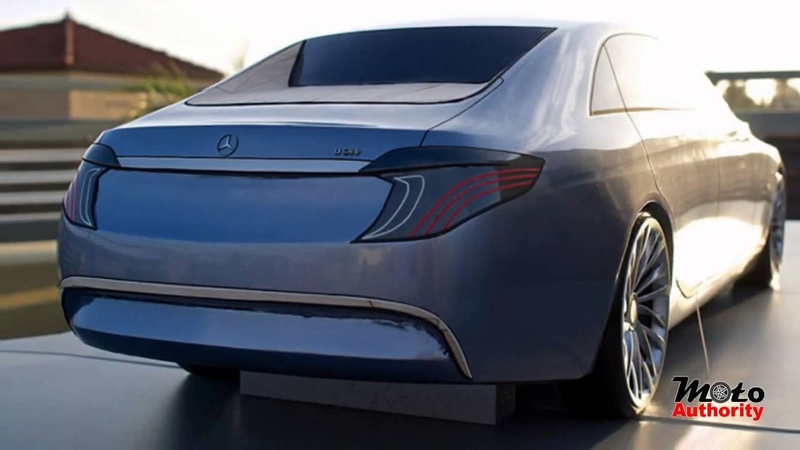 Does anyone remember the “U-Class” models, they had the same front end design as the current EQ range (these date back to 2014) – The U-Class was meant to be a super luxury version above the “S-Class”, This design model has a very strange rear window design ALA Cirtoen C6 esque window that is placed within the C pillar. (Like a shelf). I also see a lot of Jaguar XJ in the side profie, especially the rear door and green house.